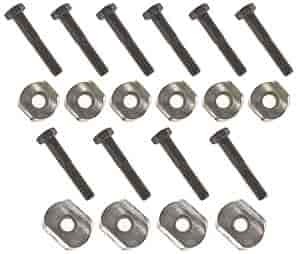 This kit contains previously hard-to-find hold down retainers and bolts necessary to secure both rocker shafts. These retainers are manufactured to Mopar OE specs to assure high quality. For use on all cylinder heads with cast-in rocker stands. Mopar offers high quality rocker shafts & hardware to provide support for your valve train.